It may not be the most exciting, or revealing, image of Henry Cavill as Clark Kent, but it is our first good look at him on the set of Batman v Superman: Dawn of Justice. The image is not from Warner Bros., but rather the Royal Marines Charitable Trust Fund, a charity that Cavill supports which helps families of serving and retired marines. 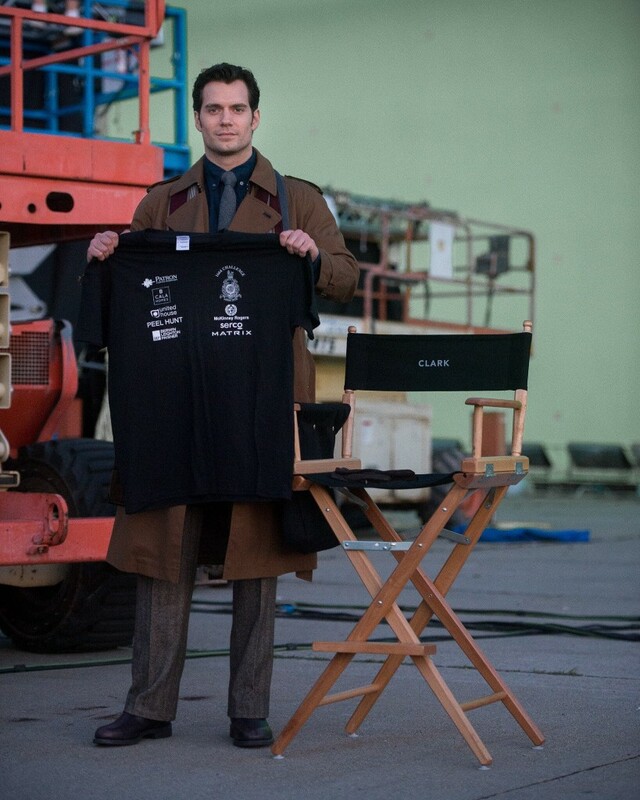 The picture shows Cavill holding up a T-shirt supporting the charity, but what is interesting is that he is standing next to a director’s chair with the name “CLARK” written on it, indicating he’s on the set of Zack Snyder’s upcoming film. 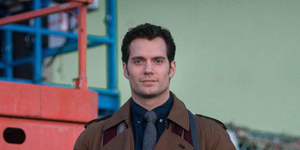 Cavill, of course, isn’t dressed in his Superman outfit, instead donning the working clothes of his Daily Planet alter ego. I must say, that’s one slick outfit for a journalist. I wonder what kind of salary he’s pulling in in this movie? Check out the photo below. Batman v Superman: Dawn of Justice opens May 6, 2016.